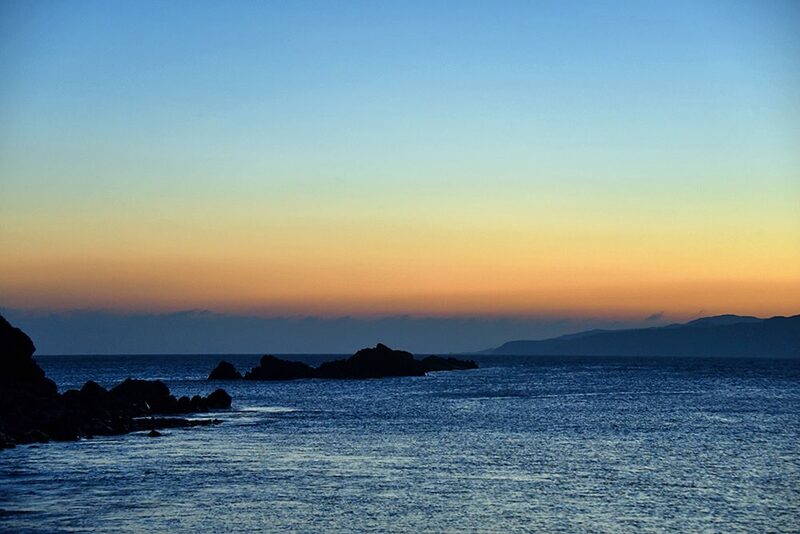 A November afternoon just after sunset on the south coast of Islay, looking out over Loch Laphroaig with the Oa in the distance. 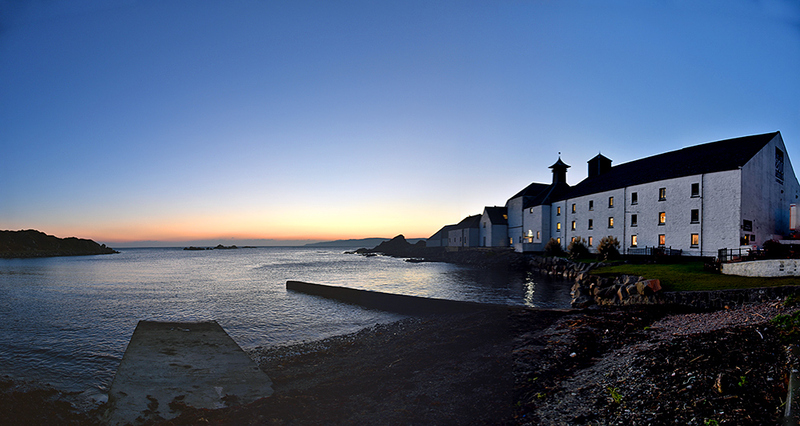 The Laphroaig distillery visitor centre and maltings on the right. 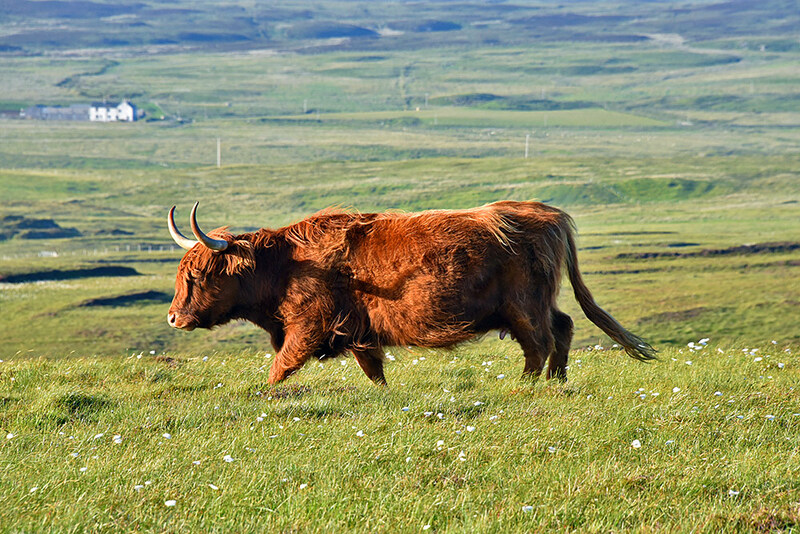 Spotted in the mild June Islay evening light on the Oa, a fine example of the famous Highland cattle.